Daniel Yocom, Guild Master Gaming July 9, 2018 Salt Lake Gaming Convention, 2018 Wrap Up2018-07-10T05:41:32-07:00 Categories: Conventions, Featured Posts, and Reviews. Tags: Salt Lake Gaming Con. Bylines: Daniel Yocom and Guild Master Gaming. 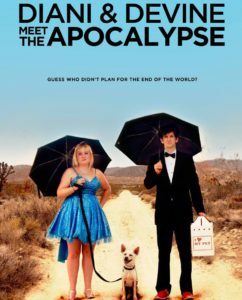 Daniel Yocom, Guild Master Gaming November 12, 2017 Diani and Devine Meet the Apocalypse [Movie Review, Screened at FilmQuest Film Festival 2017]2017-11-12T12:49:40-07:00 Categories: Reviews. Tags: FilmQuest, movie, and Movie Review. Bylines: Daniel Yocom and Guild Master Gaming. 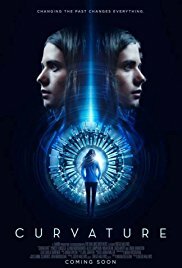 Daniel Yocom, Guild Master Gaming November 12, 2017 Muse [Movie Review, Screened at FilmQuest Film Festival 2017]2017-11-12T12:32:52-07:00 Categories: Reviews. Tags: FilmQuest, movie, and Movie Review. Bylines: Daniel Yocom and Guild Master Gaming. Daniel Yocom, Guild Master Gaming November 12, 2017 Kingsman: The Golden Circle [Movie Review]2017-11-12T12:21:20-07:00 Categories: Reviews. Tags: Movie Review. Bylines: Daniel Yocom and Guild Master Gaming. Daniel Yocom, Guild Master Gaming November 12, 2017 Blade Runner 2049 [Movie Review]2017-11-12T12:09:45-07:00 Categories: Reviews. Tags: Movie Review. Bylines: Daniel Yocom and Guild Master Gaming. 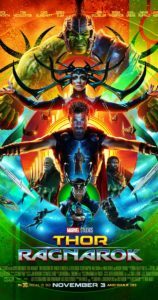 Daniel Yocom, Guild Master Gaming November 12, 2017 Thor: Ragnarok [Movie Review]2017-11-12T12:05:38-07:00 Categories: Featured Posts and Reviews. Tags: Movie Review. Bylines: Daniel Yocom and Guild Master Gaming. Daniel Yocom, Guild Master Gaming October 13, 2017 Dead Leaves, Movie Review, Screened at FilmQuest Film Festival 20172017-10-13T12:02:24-07:00 Categories: Reviews. Tags: FilmQuest and Movie Review. Bylines: Daniel Yocom and Guild Master Gaming. Daniel Yocom, Guild Master Gaming October 7, 2017 Curvature, Movie Review Screened at FilmQuest Film Festival 20172017-10-07T10:00:17-07:00 Categories: Reviews. Tags: FilmQuest and Movie Review. Bylines: Daniel Yocom and Guild Master Gaming. 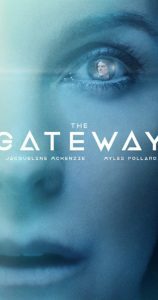 Daniel Yocom, Guild Master Gaming October 7, 2017 The Gateway, Movie Review screened at FilmQuest 20172017-10-07T09:55:20-07:00 Categories: Reviews. Tags: FilmQuest and review. Bylines: Daniel Yocom and Guild Master Gaming. Daniel Yocom, Guild Master Gaming September 24, 2017 Salt Lake Comic Con 20172017-09-24T17:10:05-07:00 Categories: Conventions and Featured Posts. Tags: 2017 and Salt Lake Comic Con. Bylines: Daniel Yocom and Guild Master Gaming.